All flowers are intrinsically beautiful, but they certainly don’t all perform equally well in our gardens. Why not? The secret lies in their genes. In people, our genes determine obvious traits like the color of our hair or eyes and how tall we grow. They also determine traits that are harder to predict like how old we will be when our hair turns grey or our predisposition for diseases that are known to pass from one generation to the next. Plant genes work kind of like that, too. For example, we can predict what color a new seedling’s flowers will be based on who its plant parents are. We can also predict things like when it will bloom and how big its flowers will be. Some traits are less obvious, like whether a plant will produce seeds, especially if they are too small to see. Resistance or predisposition to disease is also a genetic trait that can be inherited from a plant’s parents. Plant hybridizers have beenworking on creating petunias with improved traits for decades, and they have made a lot of progress. You could buy a packet of petunia seeds and grow your own. Each seed is genetically unique and it contains all the traits that petunia will ever express. Because they are not genetically exact, you should expect some variation in plants grown from seed. 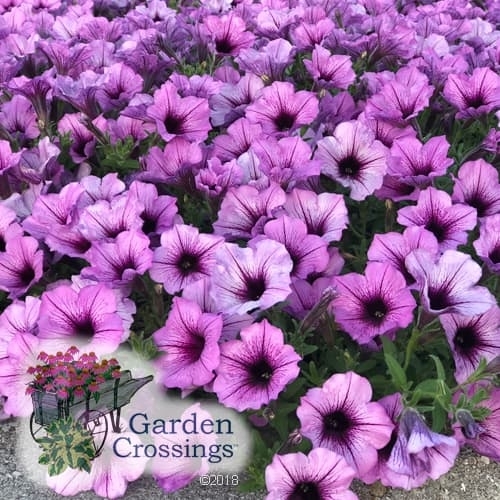 When petunias are grown from seed, the seedlings’ natural tendency is to want to grow, bloom, set more seeds, and then die because their life cycle is complete. Unfortunately for gardeners, the life cycle often ends in midsummer. That’s right about the time you’ll start wondering why your petunias have quit blooming. Instead, you could buy a pot of Supertunia petunias already growing instead of starting your petunias from seed. Since Supertunias are not grown from seed, they do not have a natural tendency to want to go back to seed. Because of how they are propagated, each plant is very consistent in how it grows and blooms. It doesn’t need to waste energy on producing seeds, so it puts that energy into producing more flowers and more vigorous growth. That’s why you’ll find Supertunias blooming all the way from spring into fall. Since there are no seeds to remove and their flowers are self-cleaning, there’s no need for deadheading either. Sweet alyssum (also known as lobularia) is another classic example of a plant that performs better in the garden when you start with a potted plant instead of seeds. You could spend your time and money growing sweet alyssum from seed and it will bloom beautifully until its life cycle is complete, typically when the summer heat settles in. The plants sense summer’s arrival, stop blooming, produce seed, then die off or go dormant until cooler fall weather arrives. Princess and Knight varieties of sweet alyssum are not grown from seed, so they do not have a natural tendency to want to go back to seed. 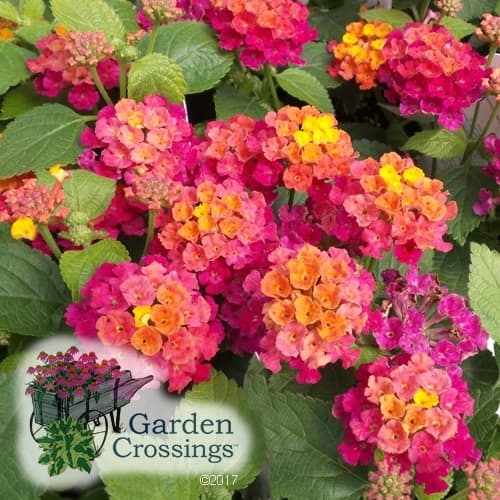 They are heat tolerant too, so when the summer heat settles in, they power right on through and continue blooming all the way through mid-fall. Like Supertunias, each plant is consistent in how it grows and blooms. 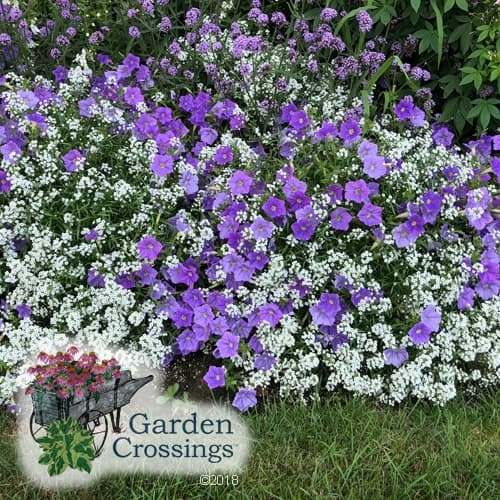 That’s especially important for a plant like sweet alyssum which is often used as an edging for flower borders or walkways where you’d like all of the plants to look the same. Supertunia petunias and Princess and Knight sweet alyssum are just two of many examples of genetically superior annuals that reliably deliver an improved garden performance. 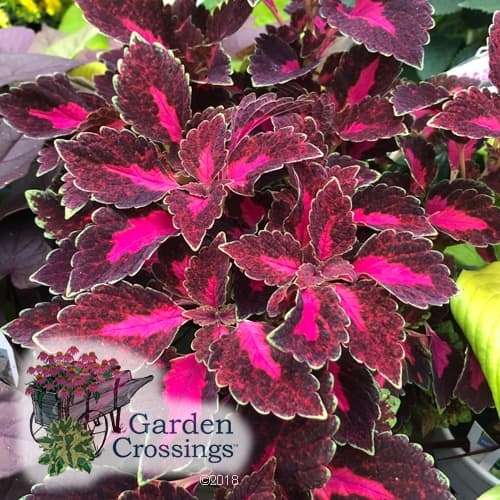 Superbells® calibrachoa, Bandana® and Luscious® lantanas, Laguna® lobelia, Rockin’® salvias, Snowstorm® bacopa, ColorBlaze® coleus and Superbena® verbena are some others you may want to consider starting from a potted plant for better results. Seed grown plants are less expensive than buying potted plants of genetically superior plants. If cost is your primary concern, that’s something to consider. But if you find yourself being disappointed in your seed grown plants by midsummer, consider investing a little more in plants that will naturally grow and bloom beautifully the entire season.